You’ve traversed the sights and smells of Manhattan’s melting pot of cuisines, and now it’s time to rest inside the chic confines of Mondrian Park Avenue. Still hungry? You’re in luck. New York City loves its carry-out and so should you. 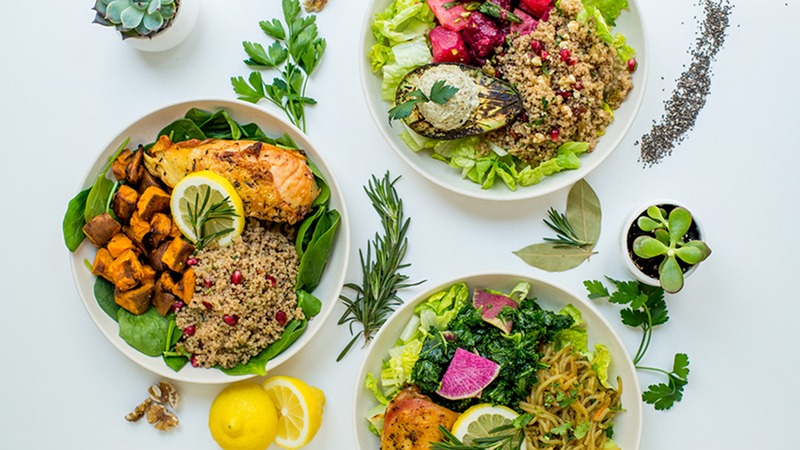 For easy simple food, let this health-minded restaurant send over a leafy sprawl including staples like seasoned roasted quinoa alongside veggies like charred broccoli with garlic, lemon, olive oil, and chili powder. For proteins, pick from an assortment including Coleman Farms chicken, Creekstone Farms antibiotic free steak, and Northern Harvest Sea Farms salmon. Warm sides include string beans and roasted sweet potatoes with smoked sea salt and pecorino. 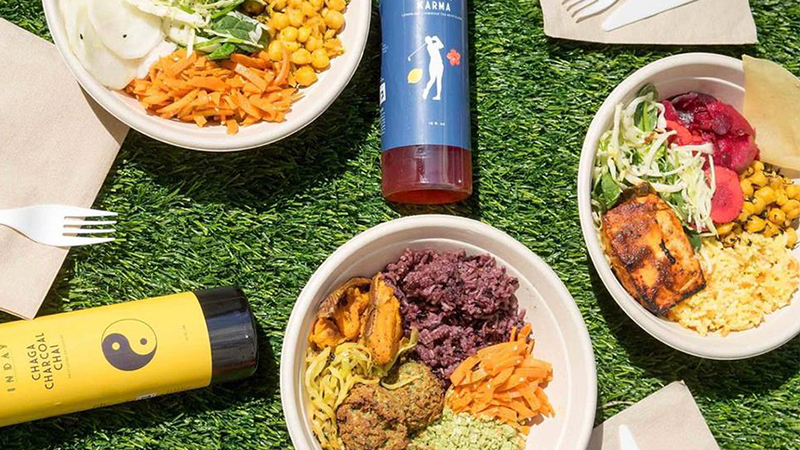 If you’ve overindulged in food and drink and are looking for a healthy respite, check out the second location of this popular organic eatery. 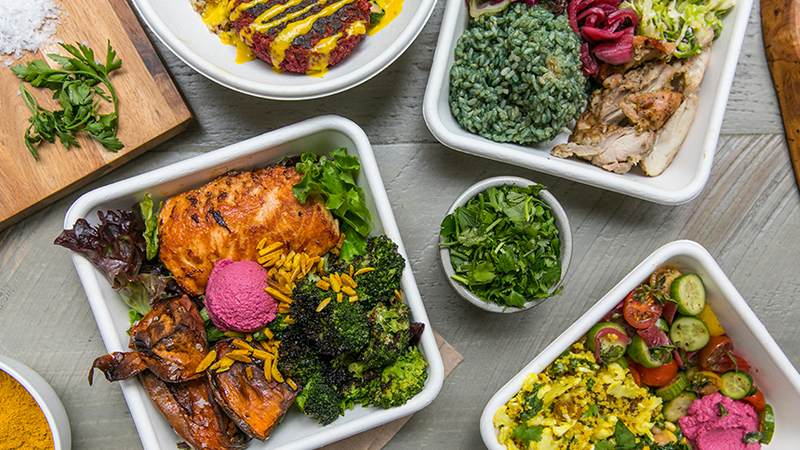 Catering to a hip crowd, this cheery fast-casual storefront sells hearty dishes — often including turkey meatballs, vegetarian enchiladas, and sides like roasted cauliflower and Thai chili noodles. For desert, opt for the locally-sourced chocolates or gluten-free baked goods from Tu-Lu’s. On 26th Street, this Korean gastropub covers any cravings for Asian fare. Rounding out the menu, you’ll find appetizers like crispy shrimp and pork leaf dumplings as well as larger shared hot dishes like BBQ Wagyu Short Ribs with Ssam set (translation: ssamjang and scallion salad). Sample the sizzling spicy cod roe bibimbap and tender beef brisket served with fried rice — and if you’re in the mood, imperial Wagyu. 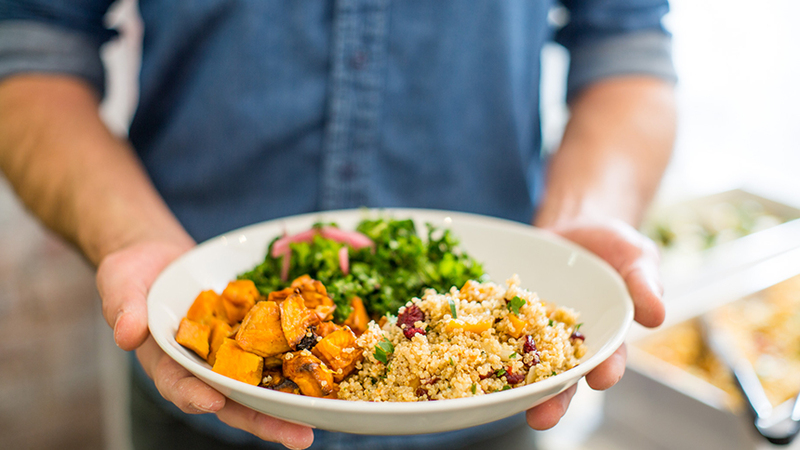 For exotic Indian-inspired grain bowls and wraps, try this seasonal spot serving riffs on Californian-meets-Calcutta cuisine. For starters, a warm brown basmati and wild rice bowl is topped with cucumber, roasted cauliflower, mint, and cilantro (plus your favorite protein), while the steak wrap is dressed with rice, mint chutney, pickled onions, and cucumbers. 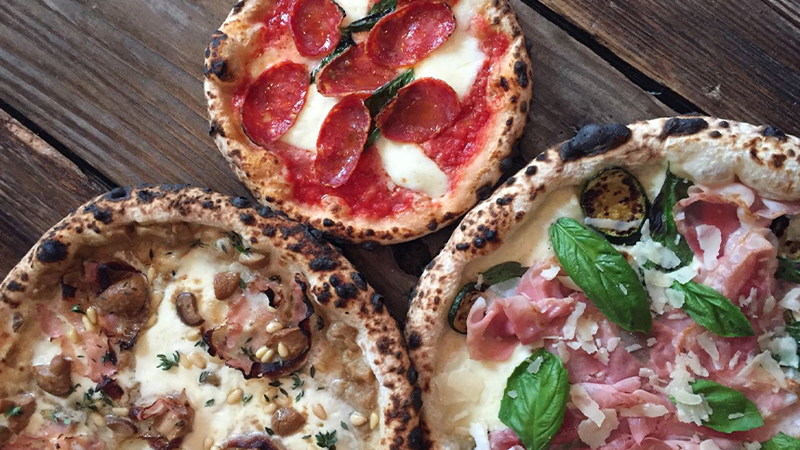 Let’s be honest, no neighborhood is complete without a pizza joint. PN stands for Pecore Nere, which translates to Black Sheep. Just on the cusp of NoMad and Flatiron, this institution offers eight kinds of dough using organic flours like a multigrain varietal with barley, rye, rice, and oats. Create your own combo pie with toppings that include pancetta, spicy salami, porcini mushrooms, and classic options like a cheese-and-red-sauce margherita. You can also opt for hearty pastas like cavatelli and meatier entrees like dry-aged Ribeye with cracked potatoes. Note: New Yorkers often rely on services like Seamless, Grubhub, and Caviar for delivery from high-end spots – even far-flung locales.